Recently there has been a major new development in cloud platform tools that allows your Excel and Access applications to the cloud economically and safely with Amazon Workspaces. This development by Amazon is truly standing them apart from other cloud providers at this stage. We have tested and can verify excellent results with MS Access, MS Excel and other proprietary Software applications. So, let me explain to you, as a business owner, what this is, without the technical mumbo jumbo. 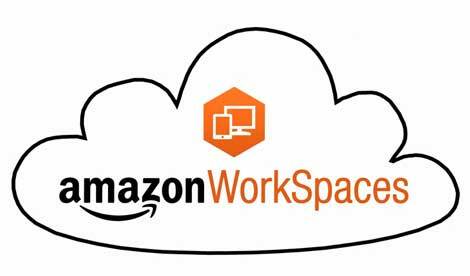 In short, Amazons new function, “Amazon Workspaces”, is a set of tools that will allow users to put their Excel spreadsheet, or MS Access application, or Word templates on to the cloud and allow all their staff to access this information. This new feature also has backup option and security. It allows the user to access this information via a login to the cloud on what is referred to a as a remote desktop (e.g. a window inside your operating system), so they can use whatever their business has loaded there. It allows users to print locally where the user is located. In addition, the user has the ability to use programs and data that are remote. a range of other unique software applications. My client uses Office 365 for all their Office Software and for their business outlook. My clients peripheral devices include Macs, tablets, hubs, printers, scanners and Windows PCs. All my clients software and data has now been loaded to the Amazon Server, and all peripherals have been transparently connected. As a result, all their staff can locally and remotely use this server. We have turned off their old server locally (as this was dying and needed a full replacement or an alternative solution). A lot of testing has been performed on this new function and we have found that even though this client has no NBN and very poor ADSL he is getting good results from this cloud option. This is because all of the processing and work is actually done on the server and by sending data up and down very poor internet lines. Simply put; ease of use and it’s also very cost effective. Many customers use Office 365 exchange simply because it works better. So does this cloud feature. It just works better, easier and has more flexibility than what most small business companies currently offer their own staff with their own servers and IT facilities; and it is so much cheaper. I have often been asked about security. You will find that security for exchange on office 365 is better than it was when exchange was on the average small business server. What Amazon Workspaces offer is also more secure than what the average business offers. So much so, that even the CIA has moved to Amazon purely due to its security. Lack of security for cloud access is really an outrageous fear put into most business owner’s heads, due to IT people being afraid of loss of revenue. I see this time and time again. Based on a small business server, whose hardware, software and installation costs about 20K (this is a very average type server for say 8-15 terminals). This 20K would be amortized over the average 4 year life span that technology and servers generally offer today. So, the monthly cost excluding interest etc. would be $416 per month. Plus, the average server of this type, costs about 5K per annum to maintain. All up costs would be closer to $833 per month. Now, if one used the Amazon Workspaces as their server, and Office 365 for their exchange one’s server maintenance is included. On’s space, backups etc. is all included. The monthly cost average for 10 users is just $275 per month. The difference is clear, $833 versus $275. Security is safer. The accessibility is easier. Why are people not advertising how to use Amazon Workspaces? Simply put – IT Technicians that advertise this will lose revenue. Accede do not source their revenue from network or hardware maintenance as we are Software developers. Our clients seek solutions to their particular needs. Amazon really does offer a full solution for loading simple based applications to the cloud. We continually review other cloud service providers, however Amazon is a clear leader in this area. How could you test your Excel and Access applications to the cloud economically and safely with Amazon Workspaces without committing? As Amazon offer this service on a monthly fee, customers can try this for a month and turn it off if it is not good enough for them. We did this for the example I gave you at a monthly fee of about $60. We have also loaded a single application for a client and given them access so they can test the viability of this before investing in setting up their own virtual server etc. and this has cost the client just $40. What does Amazon Workspaces and its setup cost? Price varies depending on space, users, facilities etc. If you are IT literate, you could do this yourself. However, as with any server setup, I suggest you use skilled IT people to do this for you. An average application cost would be about $250, but a full server replacement cost, could be between $1500 and $5000, – about half the cost of a physical server setup in your office. This is really a great break through with Tools and options offered for Cloud Users. So why not move your Excel and Access applications to the cloud economically and safely with Amazon Workspaces.